Treasure Island welcomes you with the largest beach in Pinellas County. 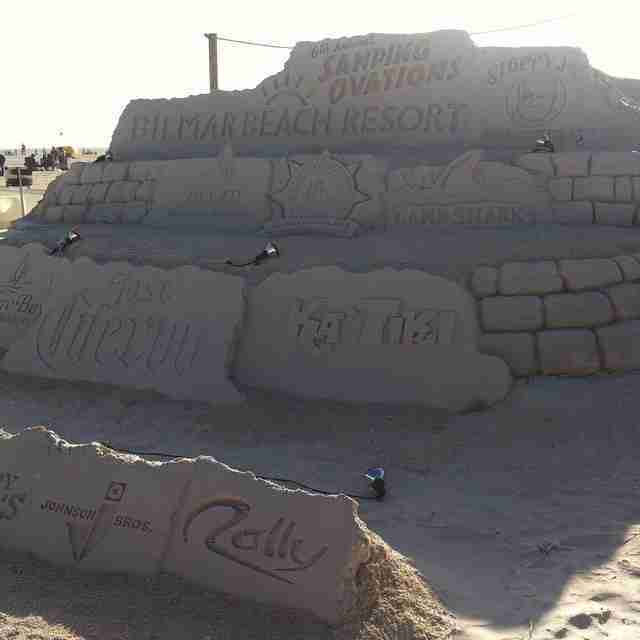 They are home to the annual Sanding Ovations World Sand Sculpting Championship in the fall. This is the largest beach which is great for a small crowd, but it can make for a long walk from your car to the water. Also, wear your flip flops - sand spurs are all over that jab your feet.